Walton is an American logger who was allegedly abducted by a UFO on November 5, 1975. While working with a logging crew in the Apache-Sitgreaves National Forest in Arizona Walton disappeared. He could not be found, but reappeared after a five-day search. 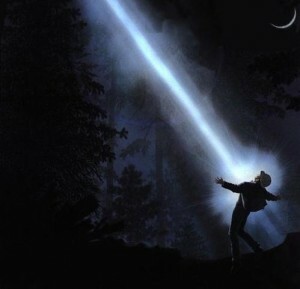 The Walton case received mainstream publicity and remains one of the best-known instances of alleged alien abduction. UFO historian Jerome Clark writes that “Few abduction reports have generated as much controversy” as the Walton case. It is one of the very few alleged alien abduction cases with some corroborative eyewitnesses, and one of few alleged abduction cases where the time allegedly spent in the custody of aliens plays a rather minor role in the overall account. Tune in Monday night at 9pm eastern and learn more about this case which was eventually turned into the movie “Fire In The Sky”. How realistic was the movie? Is any of this real or is it another made up story? October 13 – The Most Paranormal Area In The U.S.